Sacramento is one of California’s most affordable and accessible cities, served by 150 flights daily. We are America&apos;s Farm-to-Fork Capital, which has led to the explosion of our food scene. 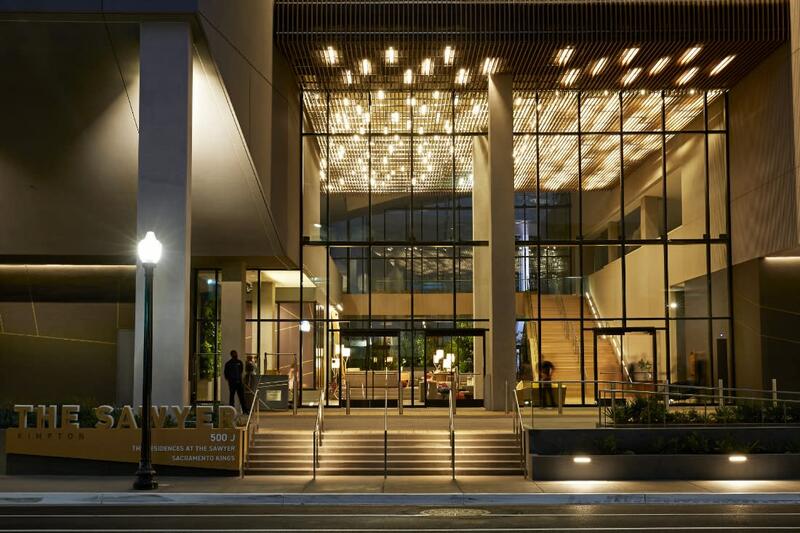 The evolution of Sacramento continues to progress at breathtaking speed with the opening of Golden 1 Center and the Sawyer Hotel. Plans are also underway to expand and renovate the Sacramento Convention Center, which will include additional exhibit and meeting space and a 40,000-square-foot ballroom. There are more than 16,000 hotel rooms; major brands include the Hyatt, Sheraton, Marriott, Kimpton, Hilton, DoubleTree, Embassy, Westin and Holiday Inn. Submit an RFP today to get started. The Sacramento Convention Center Complex is getting an extreme makeover featuring an expanded exhibit hall and a new ballroom. This entire transformation will offer more than 240,000 square feet of programmable space, which includes 160,000 square feet of exhibit space, a new 40,000-square-foot ballroom, 37 breakouts, 79,100 square feet of meeting space, and a 15,300-square-foot outdoor activities plaza. Construction is slated to begin in January 2019 and will be completed in late 2020. Sacramento International Airport&apos;s (SMF) 10 major airlines offer 150 flights per day and limitless connection possibilities - and it&apos;s only 15 minutes from downtown. SMF is ranked among the top airports in the country for customer service. We offer flexible and affordable meeting and event space for every kind of function. 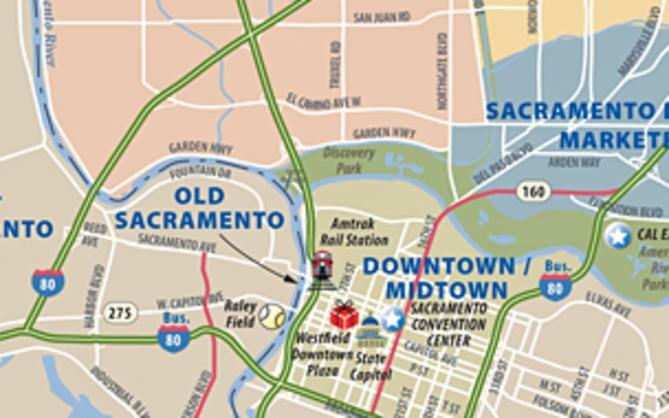 From our downtown&apos;s convention center, the historic Memorial Auditorium and the Golden 1 Center to McClellan Conference Center, Cal Expo, and Raley Field. If you&apos;re looking for unique off-site venues, we got you covered - from historical museums to an old sugar mill and penthouse suites to a motorcycle repair shop. Combined, the Hyatt Regency and Sheraton Grand offer 1,008 first-class hotel rooms just steps from the convention center, while another 1,000 hotel rooms are within walking distance. Of the region’s 16,000 total hotel rooms, some 4,000 are within a three-mile radius of the convention center. Expected to open in late 2020 is the new 159-room Hyatt Centric, located next to Golden 1 Center and six blocks from the convention center. Sacramento was included among the "25 Best Walking Cities" named by Prevention Healthy Living Group for good reason: everyplace convention attendees need to go can be reached on foot including 2,000 hotel rooms. Sacramento is America’s Farm-to-Fork Capital, which means you will enjoy delicious meals that are prepared with the freshest ingredients that come from our local farms. No major city in America is located amid such a diverse range of farms, ranches and vineyards. Year-round, visitors can enjoy our farmers&apos; markets, farm-fresh cuisine, craft beers and local wines. Sacramento&apos;s vibrant downtown and Midtown districts are home to restaurants, live theater, boutiques, art galleries, diverse entertainment venues, museums, pubs and tasting rooms. 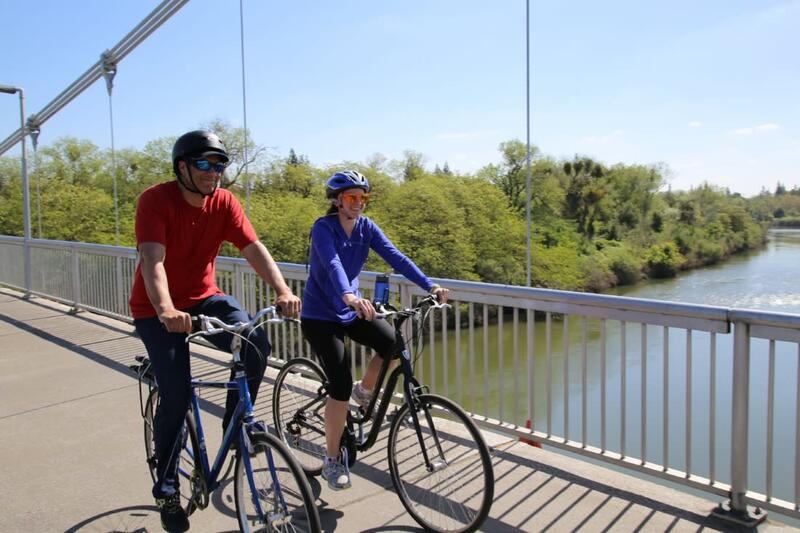 Get outdoors and enjoy the 32-mile American River Parkway and city parks. Whether you need help with attendance-driving tools, pre-promotion, exclusive restaurant discounts, and marketing and meeting materials our service professionals are here to help. As destinations experts, we can give you the ins and outs of the entire city. Consider Convention Services an extension of your planning team. It’s all happening here and now, and you too will feel the excitement. 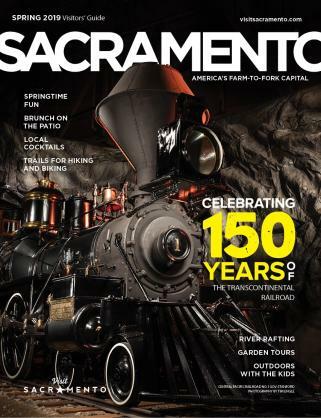 Don’t take our word for it, hear what other meeting planners say about Sacramento. 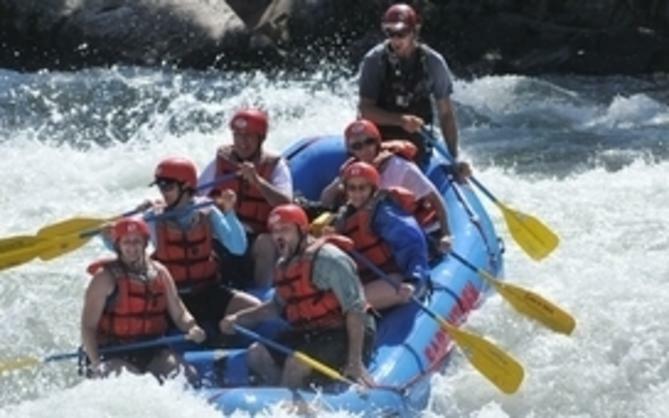 Book Sacramento for your next meeting destination. For more information about Sacramento or to book a meeting, contact us at Conventionsales@visitsacramento.com or 800-292-2334. You may also submit an RFP.